Nothing is more frustrating when growing potatoes than to find the plants suddenly wilting and dying in the garden. So what is potato wilt and how can you prevent wilted potato plants in the first place? Keep reading to learn more about controlling potato wilt disease and its causes. Verticillium wilt, also known as potato wilt, is a fungal disease that can be caused by either Verticillium dahliae or Verticillium alboratrum. 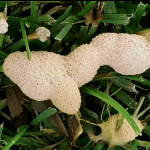 Both of these fungi can survive in the soil, in infected plant parts and seed pieces for a long time. 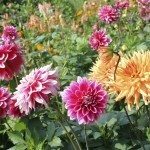 In fact, Verticillium dahliae has been found to remain in soil for up to seven years. Wilt can result in a reduction in tuber size and stem-end discoloration. The fungus attacks the potato plant through the roots and interferes with the transportation of water. Potato plants exhibit disease symptoms when they turn yellow prematurely. Infected tubers may show vascular discoloration in rings near the end of the stem. Wilted potato plants eventually die. Some species of potatoes are more susceptible to wilt than others. Therefore, it is always best to plant potato varieties that are resistant to wilt. When shopping for disease resistant potatoes, look for labels with a “V” on them. Controlling potato wilt is best done through prevention. Using high quality seed from fields that are free of wilt is an excellent starting point. Healthy plants are less likely to suffer from infection, so be sure to provide plenty of water and fertilizer which will help protect them from infection. Keep gardens weed free, and pick up and discard all dead or infected plant debris. Crop rotation will also help with wilt management. Where there are large fields of potato plants wilting, the potato tops should be raked and burned.